Large internal contacts mean high fault current capacity avoids additional fusing in many installations (Backup fuse @ Isccr: (i) 315A @ 25kA; (ii) 250A @ 50kA). Change-over alarm contacts with quick-install spring terminals on all models. 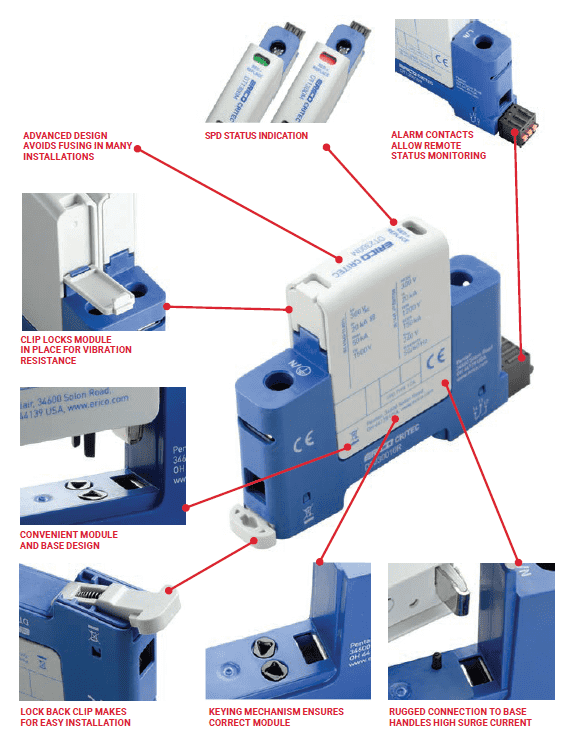 Lock-back clips for easy DIN rail installation. Superior throughout with little change in price. 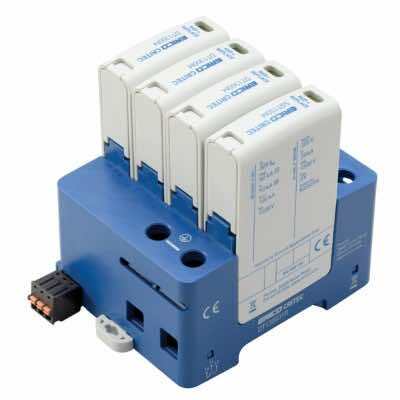 The DT2 series replaces the DSD 40kA products and the EDT2 series replaces the TDS 50kA products. This useful table is to assist those familiar with our previous range. Our experiencing team will help you to choose the right surge protection to ensure your equipment is adequately protected. Don’t forget that Helios offers a complete range and expertise in grounding, bonding, surge and lightning protection, providing complete solutions across applications including Commercial, Industrial, Telecom and Utilities.